Tell your pals about your new place! A stunning set of pristine postcards. A hand-drawn portrait of you and your new home on the front. A personalised ‘we are moving’ message and your new address on the back. Eye-popping envelopes in all the colours of the rainbow (133 x 184mm). Available in sets of 50, 100 and 250. 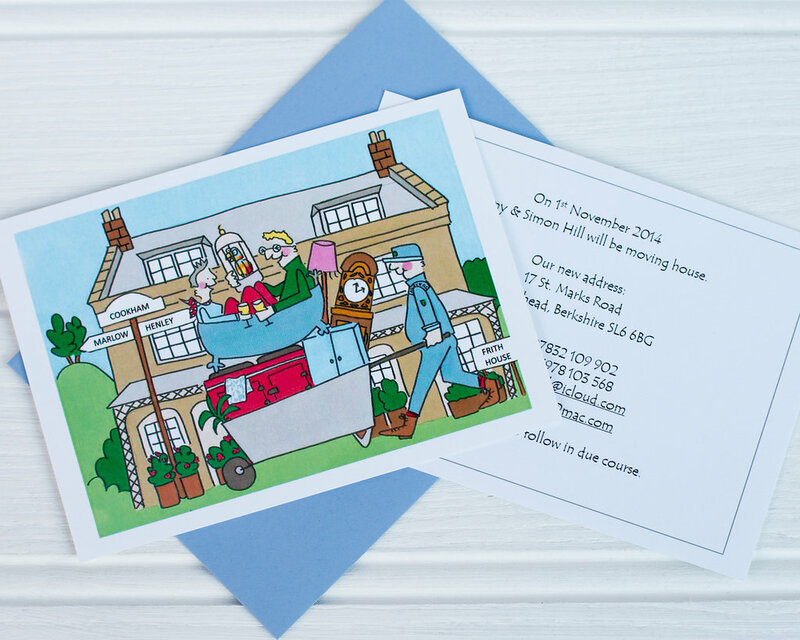 More ‘Moving House’ cards can be found by clicking on Portfolio at the top of the homepage.